Marimed Foundation is one of 10 non-profit organizations awarded a Kūlia Grant from OHA. With its grant award Marimed will provide maritime training, education and job placement services for unemployed and underemployed Native Hawaiian men and women. 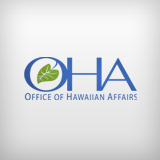 HONOLULU (March 28, 2019) – The Board of Trustees of the Office of Hawaiian Affairs (OHA) today approved the awarding of $500,000 to 10 non-profit organizations under its Kūlia Grants Program. Through this pilot program, OHA is providing smaller, one-year grant awards for projects that benefit the Native Hawaiian community and align with the agency’s broad strategic priorities of health, education, income and housing, land and water, and culture. “After thorough review of all grant applications, we are very pleased to announce that we will be providing funding to 10 non-profit organizations in support of programs that will directly impact the lives of Native Hawaiians,” said OHA Chair Colette Y. Machado. “The services provided by these organizations range from culture and education, to healthcare and housing and will help Native Hawaiians across the state and in the communities in which they live. It is important to OHA that we support projects that kōkua where they are most needed,” said Kamanaʻopono Crabbe, OHA Chief Executive Officer/Ka Pouhana. Unlike OHA’s Community Grants Program that typically provides larger, multi-year grant awards that require a minimum of 20 percent matching funds, Kūlia Grant Program awards are smaller, ranging between $25,000 and $100,000; carry one-year terms; and require just a 10-percent funding match. The Kūlia Grants may also be used for capacity building and capital improvement projects, which are prohibited under the Community Grants Program.